One of the important things you need to know is the possible cut-off mark of you school of choice for 2018/2019 admission. 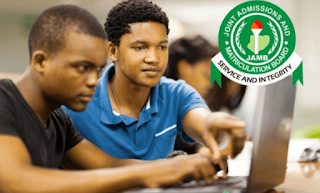 This will enable you to know if you qualify for your school admission screening and equally help you determine if you need to go for JAMB change of course and or institution when it begins. At the moment, JAMB and institutions have not announced their official cut-off marks for this year. So what we have here is based on what it was last year. Below is a list of the possible Cut-off marks of various institutions for 2018/2019. ARTHUR JARVIS UNIVERSITY, AKPABUYO, CROSS RIVER STATE. CROWN HILL UNIVERSITY, EIYENKORIN, KWARA STATE. CLIFFORD UNIVERSITY, OWERRINTTA, ABIA STATE. COAL CITY UNIVERSITY, ENUGU, ENUGU STATE. ENUGU STATE COLLEGE OF EDUCATION (TECH.) ENUGU ABAKALIKI RD. ENUGU STATE. LENS POLYTECHNIC, OFFA, KWARA STATE. BEST SOLUTION POLYTECHNIC, AKURE, ONDO STATE. UNIVERSITY OF CALABAR TEACHING HOSPITAL SCHOOL OF HEALTH INFORMATION MGT.